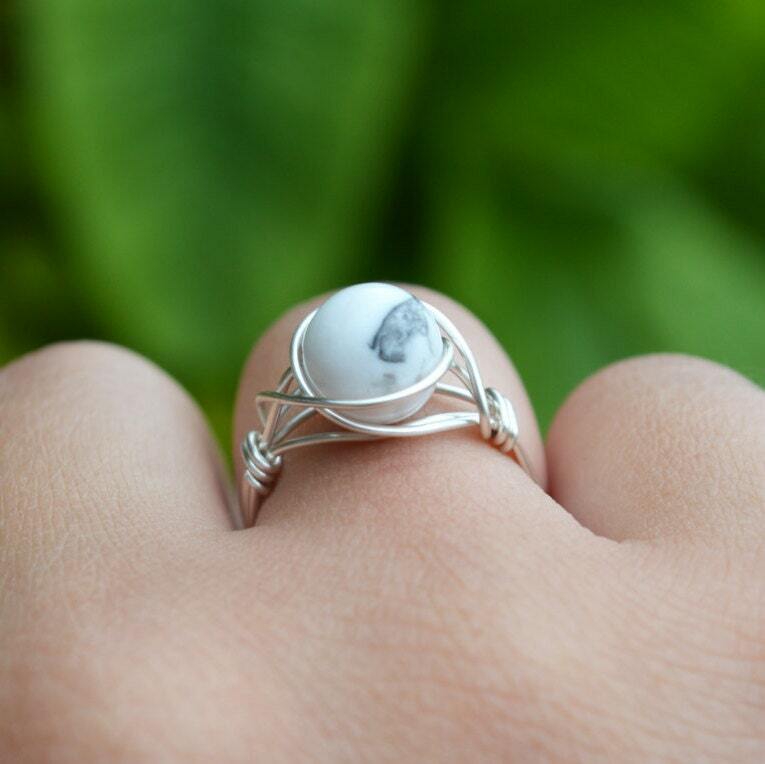 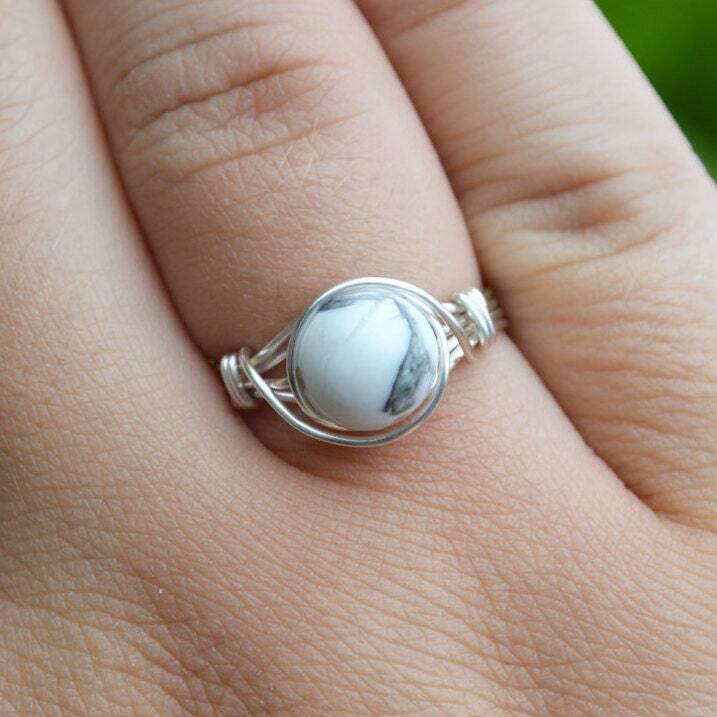 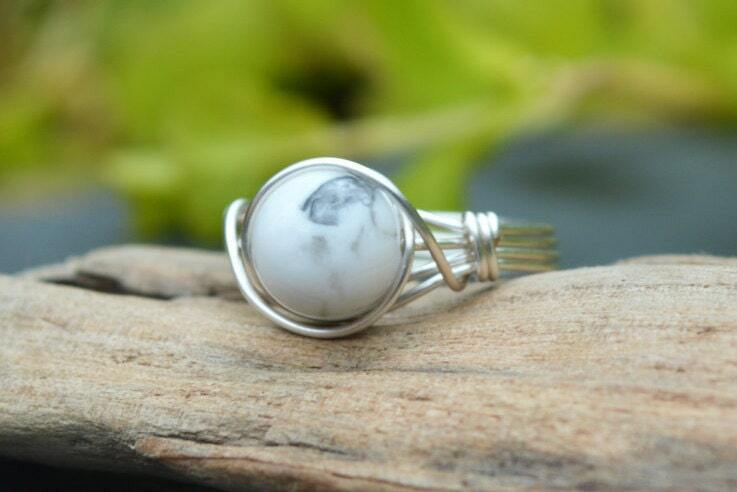 White Howlite gemstone ring, wire wrapped with sterling silver wire or gold filled wire. 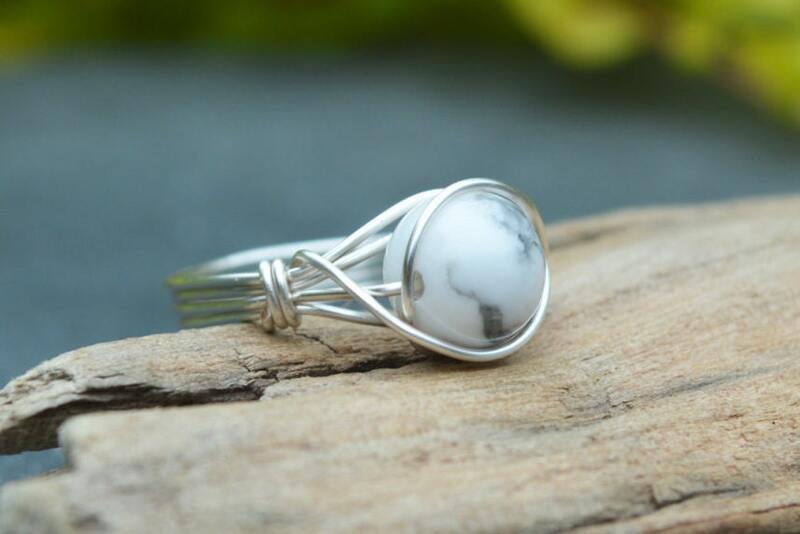 Howlite is known as a calming ring, providing soothing stress relief for the wearer. 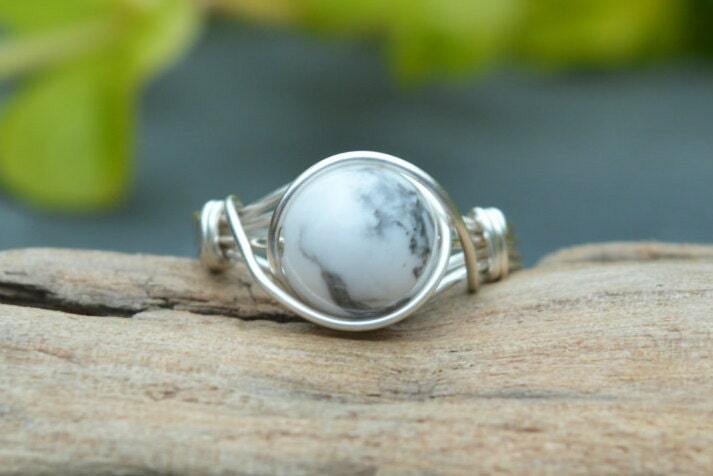 It is also used for awareness of the higher self and divine, and for letting go of previous hurts and regrets.